The most advanced liquid vitamin, mineral and amino acid supplement on the market. With today’s active lifestyle, most of us are lacking essential nutrients. Dr. Wallach's Majestic Earth ® Ultimate™ line of liquids is formulated to feed your body those vital nutrients. The unique properties of Ultimate Classic® make it the ultimate in absorption and completeness. Velvety deep chocolate, recognized as the “Food of the Gods”, is known to be higher in Antioxidant content than any other food and is revered worldwide for its ability to support Optimal Health and Wellness. Cocogevity™ contains Cocogen Extract which is used to make high quality, great tasting chocolate. 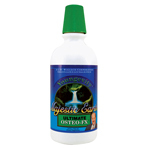 Youngevity’s® osteo fx Plus™ was formulated to support healthy bones and joints, osteo fx Plus™ meets the U.S. daily requirements for people over age 50 with 1,200 mg of calcium, and contains the co-factors necessary to help your body better absorb and retain calcium. Goes with NaturesWhey shake. Formulated to support healthy bones and joints. Calcium is one of the most important nutrients your body needs. Unfortunately, many people believe that taking calcium-enriched antacid tablets or other related products will give them all the calcium they need. That is far from the truth. 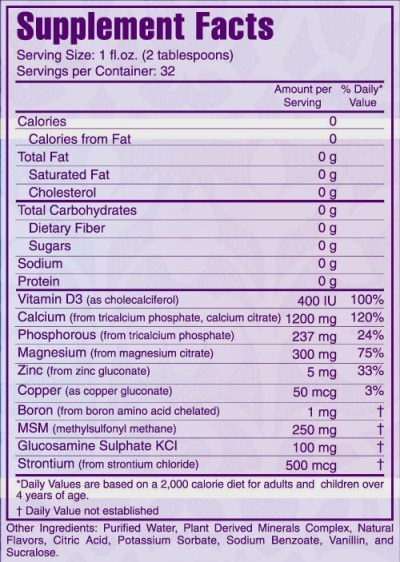 You get more than 100% of your Daily Calcium (RDA) from one ounce of OsteoCal. Goes with Natures Whey shake. This high energy sports drink gives you quick sustained energy, indulge in the luscious taste of Melon Madness, Berri Boost and Tropical Tirade. Rebound Fx is a high energy drink that offers a balance of antioxidants, natural herbs and important minerals. Mix 1 ounce per 10 ounces of water, take before - during - after a workout. Dr Wallach's Plant Derived Colloidal Minerals The colloidal mineral supplement which all others compare. A liquid concentrate of 19,000 mg of approximately 77 minerals from prehistoric plants. Dr. Wallach's Majestic Earth Minerals are 100% Plant Derived, liquid, organic, colloidal minerals. They contain 19,000 mg of essential minerals per quart. Dr. Wallach's Majestic Earth Minerals are unadulterated minerals, straight from the plant with nothing added to them like sugar or flavoring or chemical preservatives and nothing subtracted. They are filtered and re-filtered, contaminant free and meet or exceed industry standards for purity and consistency. Dr Wallach's Plant Derived Minerals A liquid concentrate containing 19,000 mg. of approximately 77 plant derived colloidal minerals. Great all-natural cherry taste ! Each bottle contains full strength Majestic Earth Plant Derived Minerals along with 16 herbs to balance your everyday needs. This supplement unleashes the power of herbs and minerals. Easy to take, liquid concentrate of full strength, 100% plant derived minerals with a mango taste. This is the Youngevity® answer to botanical balance; a liquid concentrate of Majestic Earth® Plant Derived Minerals™ with an assortment of 16 popular herbs. Majestic Earth® Herbal Rainforest™ is a step in the right direction. OxyBody combines the strength of oxygen with the healing properties of aloe vera, then fortifies the blend by adding all-natural herbs.Dr. Wallach has formulated "Oxy Body™" as an immune system booster to aid and enhance immune response during times of stress and exposure to infection and disease. It consists of an Aloe Vera base with food grade H202 (Hydrogen peroxide) , Oxy Body™ also boasts a number of herbs found to be of benefit to the immune system. Majestic Earth Sports Tech helps to replenish essential nutrients lost during exercise. Makes Three Gallons. Sport’s Tech™ is an all-natural dietary supplement . Majestic Earth® Sport’s Tech's/Rebound Fx unique formula combines major and trace minerals with vitamins and antioxidants to create a powerful, nutritional drink for active people. Interested in saving 30% off all the health products you order through Youngevity? Become an Youngevity Preferred Customer and purchase all the products at the wholesale prices...Freesign-up .